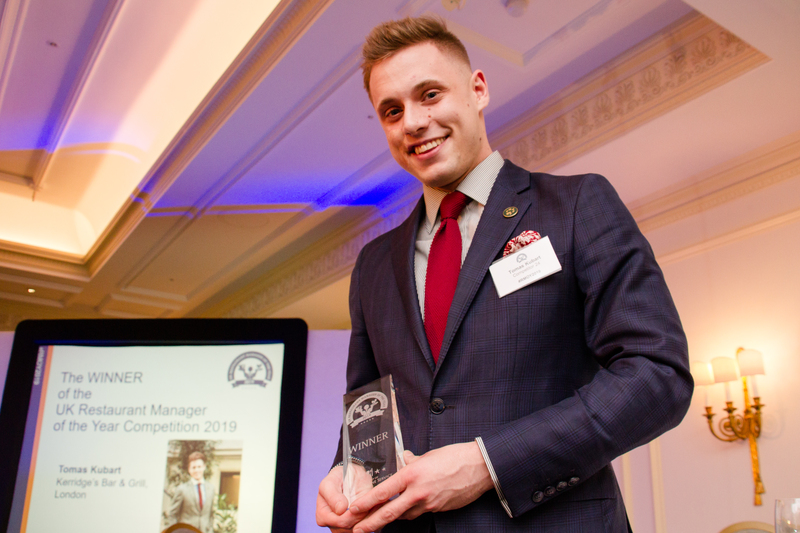 Tomas Kubart from Kerridge’s Bar and Grill in London has been named 2019 Restaurant Manager of the Year. 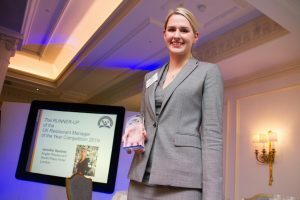 The result was announced at a sold-out awards ceremony run by the Institute of Hospitality and the Academy of Food and Wine Service at The Savoy in London on Monday night (7 January). Jennifer Santner from Angler restaurant at the South Place hotel in London was named runner-up. 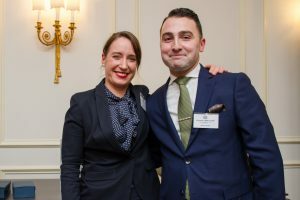 Pauline Henry from Brasserie Joël at Park Plaza Westminster Bridge and Vincenzo Mancinelli from Hide Above were the other two finalists selected from nine semi-finalists on the day. A few words from Kieran McLoughlin, UK Restaurant Manager of the Year 2018 and Matthew Mawtus, UK Restaurant Manager of the Year 2016.